One of the stories from my childhood that sticks in my head is Hansel and Gretel, the two children who get lost in the woods and find themselves in a house made from cake and sweets. Oh how I wished I could find that house, maybe not the witch that came with it but certainly having the opportunity to try and eat my way through the house appealed. Nowadays my children, especially Tigger are in love with the film Wreck-It Ralph, a computer game character who goes in search of his very own medal and enters the Sugar Rush game. A computer game where the characters race around various candy filled tracks in candy made cars (obviously). 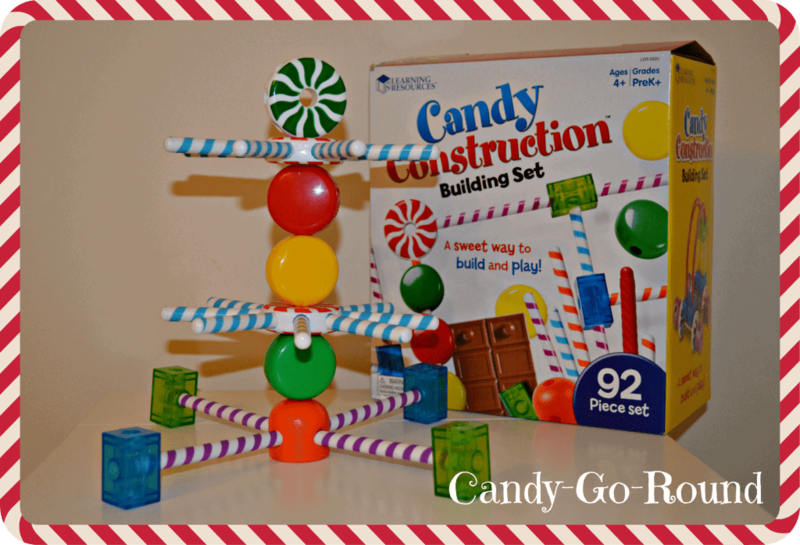 So when Learning Resources got in touch asking Boo Roo and Tigger Too to review the Candy Construction Building Set I knew that this would be popular, what I didn’t know was just how much! [box] Building has never been so much fun! 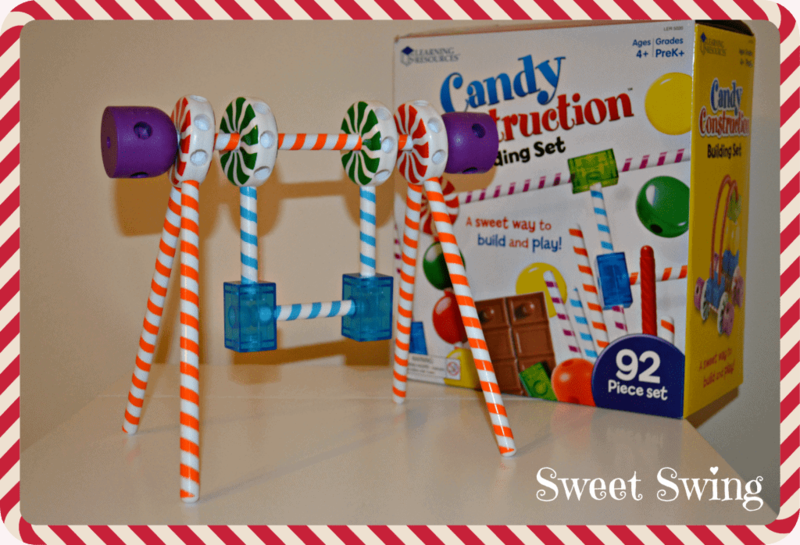 Use the candy-shaped pieces to build all kinds of twisty, swirly, colourful creations. As the set comes with 92 pieces I was surprised to find that it comes in a relatively small box, which easily stores all the pieces and ideas booklet. The box even comes with a handle which makes it a fabulous re-usable storage box for all the candy pieces. The principle behind the set is very straightforward and isn’t it always the way that the simple ideas are the best. Each of the different candy construction components fit together to make all sorts of different things from a simple lollipop to a candy cottage. Roo and Tigger have played with, built and argued over this this candy construction building set. 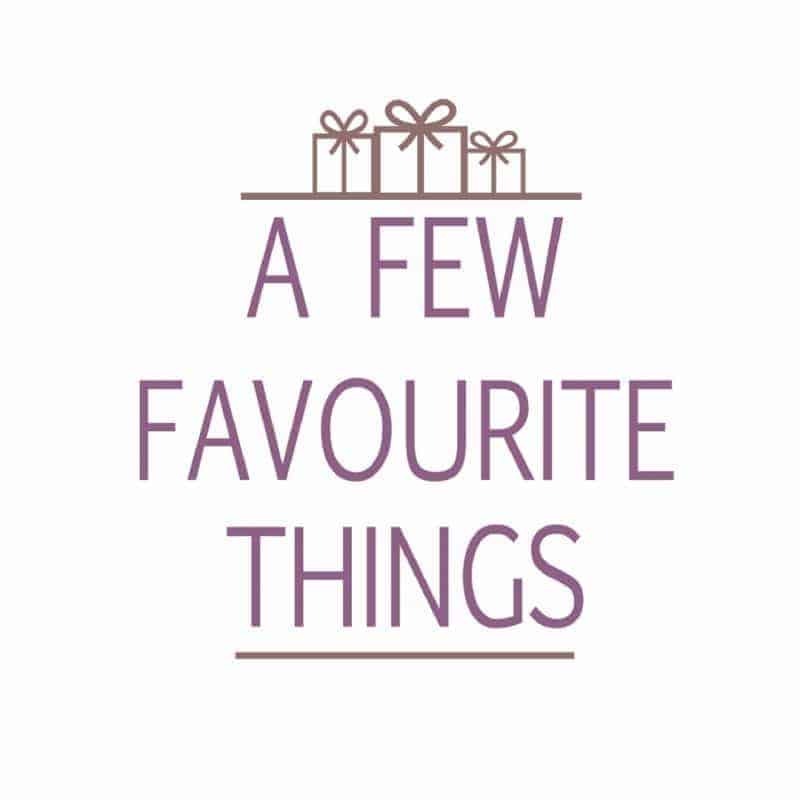 Whilst Tigger has wanted to make cars and zoom around the living room floor with them, Roo has wanted to make all the different things in the ideas booklet that comes with the set. She did get annoyed when trying to make the ‘Yummy Buggy’ as the bendy twists kept coming off (it was funny to watch though… Sorry Roo!). 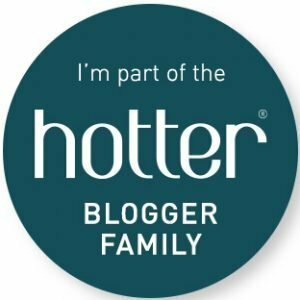 The set is targeted at 4-8 year olds , however I would have send it would be great for pre-schoolers too as Tigger enjoyed playing with this set just as much as Roo. Priced at around £30 you may be put off by the initial cost of buying this set but I can honestly say that this set has been played with everyday since it arrived in the Boo Roo and Tigger Too household. 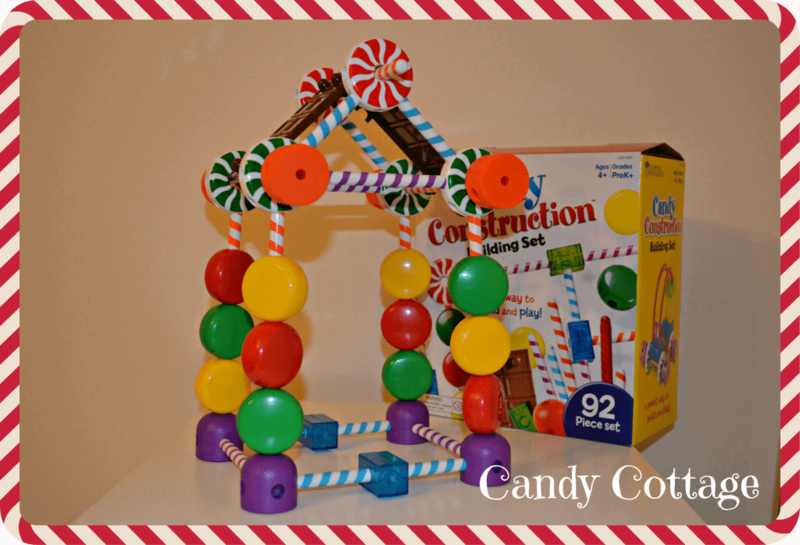 The Candy Construction Building Set is available direct from Learning Resources or Amazon. 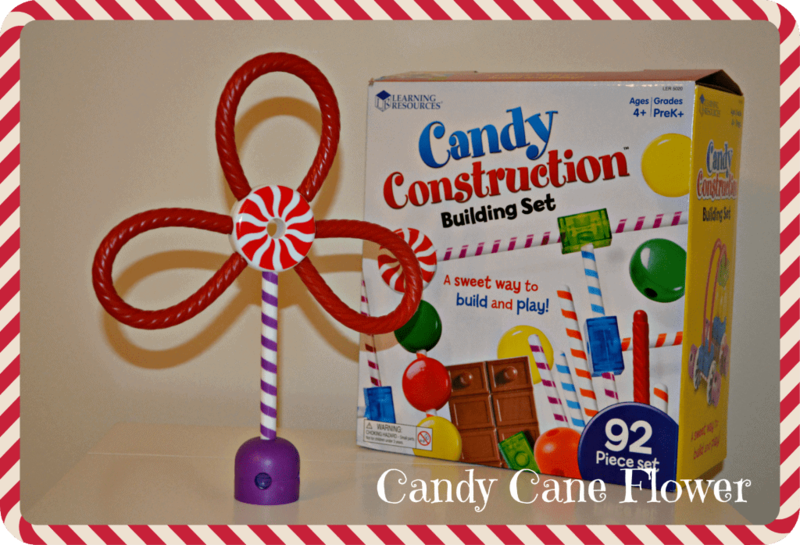 Disclosure: We received a Candy Construction Building Set FOC for the purpose of review. 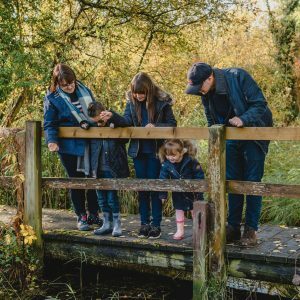 That looks like lots of fun, can see why it has been popular! That looks like a lot of fun! I’d want to eat it though! This looks awesome and fabulous for hand to eye co-ordination!